When I was pregnant, my baby don't want me to sleep, hehehe. I don't like to watch TV or read a book. It was also at this time that I don't find the Internet amusing. I have so many weird feelings when I was preggy, these were just few of those. So I just sat in the bed and do nothing. It was so stressful for me and the baby. I have to do something to keep me busy until I can go to sleep. There was not much work in the office then, so I began to search (secretly, ssssh!!!) for creative things to do. Coloring was my choice. I was looking for pages which are more intricate ones, and challenging too. I found many but what caught my attention was the astonishing intricacy of the MANDALAS. I have to lead you to Wikipedia, hehehe. 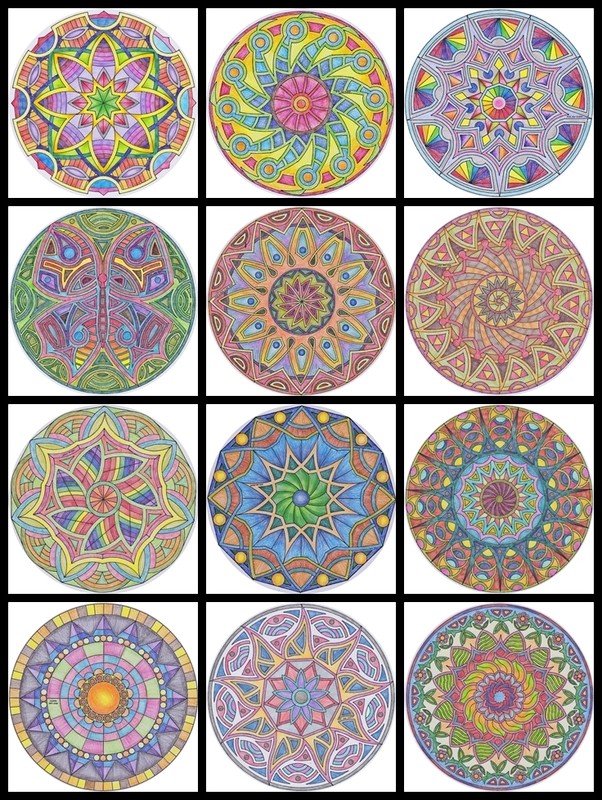 This SITE too gives you a simpler explanation of what Mandala is and free coloring pages, as well. The pattern itself is beautiful and when you color it, it is even more. 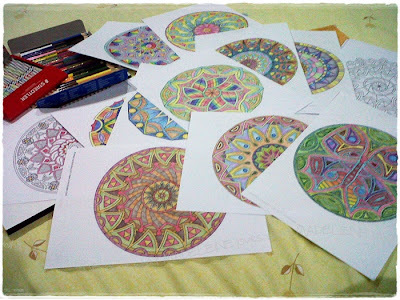 It did not only keep me busy at night, it was also a way to calm my self, bringing out that creative part of me. It was relaxing and fulfilling, too. I got these free mandala coloring pages HERE. And to give you some inspirations, HERE's a very nice gallery.